Opencast brown coal mining. Some public pension schemes are moving away from coal. Image by Petr Kratochvil. Over the past two years there has been a growing demand for UK institutions to divest from unethical investments that do not reflect the interests of its citizens. UK councils have become a primary target as they have a total equity of £180 billion with an estimated £3.6 billion invested in the fossil fuel industry. The development of Socially Responsible Investment (SRI) strategies appear to be an example of UK councils using their pension funds to make “impact investments” in areas that reflect the economic, ethical and environmental interests of its shareholders. Five of the largest local authority pension funds, Greater Manchester, West Yorkshire, South Yorkshire, Merseyside and West Midlands, have joined the Investing4Growth (I4G) initiative to commit £152 million to projects that will have a positive impact within their jurisdictions. The Global Impact Investing Network (GIIN) explains the idea of impact investing as “investments made into companies, organisations, and funds with the intention to generate social and environmental impact alongside a financial return”. The Greater Manchester Pension Fund (GMPF) is the largest local government pension fund in the UK with assets of an estimated £16 billion. It was the first fund to divest from tobacco, and has diversified its investments to focus on innovative and ethical local projects. In 2014 it formed a partnership with The Homes and Communities Agency to provide a £25 million investment fund to build over 200 affordable homes in the Greater Manchester area. This was the first fund of it’s kind to be created by a local government pension fund, and highlights how an innovative approach of pooling assets with other agencies can lead to satisfying a local demand, whilst providing a positive return on investments. Although this is a welcome shift in investment policy, both the GMPF and LPFA still have over £500 million invested in Shell and BP alone. 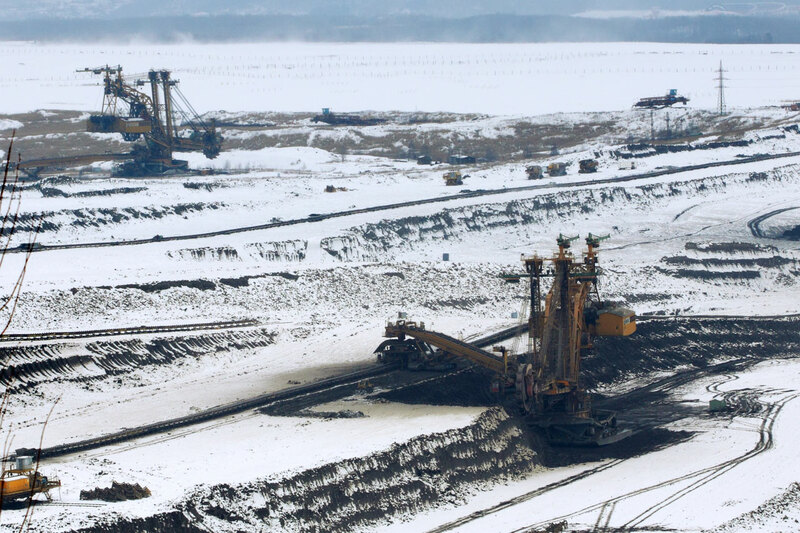 They also have equity investments in three global mining companies, an armaments manufacturer and Canadian Tar Sands. In 2013 Lancashire County Pension Fund (LPF) was the first pension fund to invest in community energy in the UK. The fund invested £12 million in the Westmill Solar Co-op solar power station in Oxfordshire, the world’s largest community-owned solar power station. The solar farm has 21,000 solar panels generating 4.5 million kilowatt hours per year, enough to provide electricity to 1,400 homes. In February the largest pension fund in Scotland, Strathclyde Pension Fund (SPF), partnered with the Green Investment Bank (GIB), contributing £10 million to a £60 million investment in community renewable energy projects, making it Scotland’s largest equity fund of it’s type. A hydro-electric power station in Western Scotland will be first to receive investment, with another four projects valued at £68 million already gaining approval, and a further six projects worth £43 million seeking approval for the future. Chair of the Fund, Councilor Paul Rooney explained that projects of this type often have difficulty attracting investment and yet “there are many great opportunities to generate sustainable, renewable energy at a community level … the investment made by our members in their own future will support the future of our communities, through improved infrastructure and jobs.” This is not the only positive aspect of investments of this kind; the financial gains also make for a financially sound strategy. For their £10 million investment the SPF expects a return of between 11-13% and a continuous in-come stream over five years. Heavy mining is one of the most destructive practices which local government pension schemes invest in. 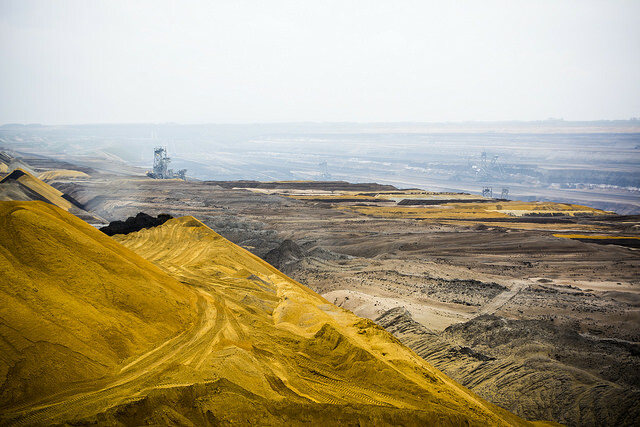 Tagebau Hambach is an open-pit lignite mine in Niederzier and Elsdorf, North-Rhine Westphalia, Germany operated by RWE. Image by Malcolm Kratz. Oxford City Council was the first local authority to pledge to make no direct investments in fossil fuels through its ethical investment policy, but still has £42 million of indirect investments in fossil fuels through the Oxfordshire Pension Fund. Although full divestment is still not assured, there are positive steps that the council is making. The Low Carbon Hub initiative is working with Oxford City Council and Oxfordshire County Council to develop a revolving loan fund for continuous energy reduction and renewable energy projects across the county. There is currently £12.5 million invested in pipeline projects that will provide energy to schools, local businesses and communities via microhydro and solar PV schemes. Schools especially have encountered difficulty in developing their own projects, and support from the Low Carbon Hub’s solar energy scheme is intended to develop cheap, green electricity for the schools of the next 20 years, and to provide ethical investment opportunities for the community. The partnership is also running a pilot scheme to combat fuel poverty by improving the efficiency of homes in the Barton area. Bristol City Council announced on Global Divestment Day (2015) to end investment in the fossil fuel industry. Although they do not have any direct investments in fossil fuels, the change in policy could have have future repercussions for it’s pension funds investments with the Avon Pension Fund, who do invest in fossil fuels. The Bristol Fossil Free campaign which includes members of the Bristol pension fund, have called for Bristol’s mayor, George Ferguson, to follow this announcement with further investment in clean energy. In 2014 the council became the first local authority to develop its own wind farm in Avonmouth. It has a combined 5 MW output capacity and an estimated annual income of over £1 million from Feed-In Tarriff (FITs), Levy Exemption Charges, and the sale of its electricity. The ability to locally produce energy will “build a strong and secure local production capacity that will help to protect the local authority and their taxpayers from future energy crises, as well as making a useful contribution to renewables on a national scale. It also makes good financial sense too, creating a lucrative new income stream that can be used to finance other energy or environmental projects,” says Indira Norton, Energy Management Officer for Bristol City Council. The dichotomy between direct and indirect investment highlights the difficulty for investors to sever ties completely from the fossil fuel industry. Although these examples highlight positive uses of public money, they still remain small in comparison to the equity managed by external pension fund managers who continue to invest in fossil fuels. Croydon Council represents the next step that councils need to take to divest completely. In 2014 the council switched its entire pension fund with assets of £350 million to a global ethical investment fund managed by Legal & General (L&G). The council has stated a desire to avoid exposure to tobacco, arms stocks and nuclear power to reflect the ethical stance of it’s shareholders, and to reflect the administrations manifesto pledge to be a socially responsible investor. The only criticism is that the money will now flow out of the UK when there is opportunities for it to be invested in much needed local infrastructure, however, it could represent the solution to the global investment strategies that guide all pension funds. If money can be shared between local and global projects it would serve to spread the money to ethical investments both locally and globally. “The results show that removing the fossil fuel sector in its entirety and replacing it with ‘fossil free’ portfolios of energy efficiency, renewable energy, and other alternative energy stocks, either on a passively managed or actively managed basis would have improved returns with limited tracking error.” (Impax Asset Management). About the Author: Currently studying an MSc in Sustainability and Adaptation, Stuart is interested in how the principles of permaculture, strategies for localized renewable energy networks and urban agriculture practices can create resilient local communities in a globalised world. For a while this meeting looked like it might be that rarest of things, a UN climate conference that actually finished on time rather than running into Saturday or even Sunday. But, true to UN form, talks broke down last night. Ministers and heads of state came to the COP today. Finance has been a big issue with rich nations shirking responsibilities and scepticism that more money or action will emerge. Friends of the Earth Scotland is feeling determined. On the day of their AGM, we went down to The Royal Bank of Scotland headquarters, asking the bank to put an end to all fossil fuel financing in it's energy policy. The problem with the fashion industry isn’t simply the waste its creates here in Scotland: it’s also about the catastrophic impact on communities in the global south. We need environmental justice, and we need it now! Share if you agree.